The corner of Pearl and State Streets is one of the gateways into Jackson’s central business district. 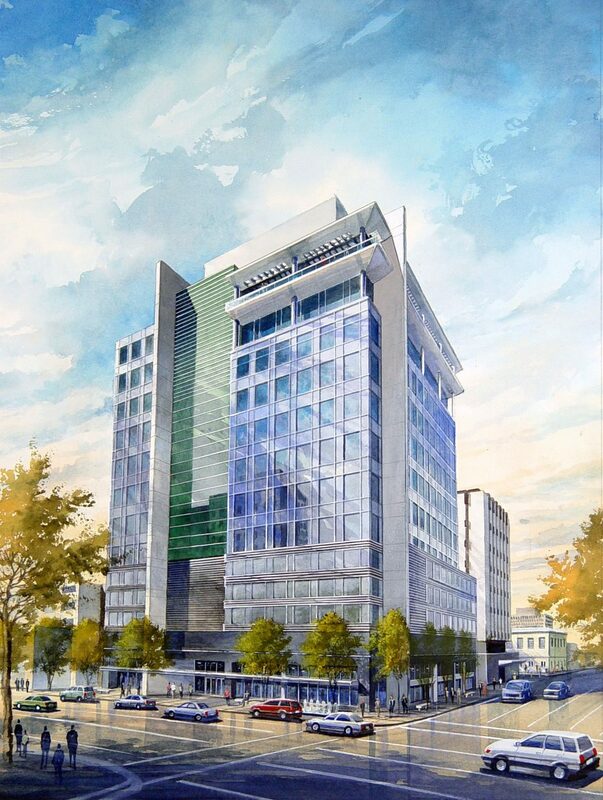 This project is designed to provide new class A office space and parking and add a welcoming presence to Jackson’s skyline. The building is designed with 8,900 SF of retail at the street level, wrapping 4 levels of parking. The office floors provide an efficient floor plate for tenants, with a total of 162,500 SF for office use.